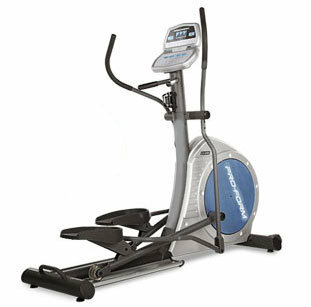 Ease of use meets club quality in the T103, a great all-purpose treadmill for people who are ready to step up to more power and program options with premium features. 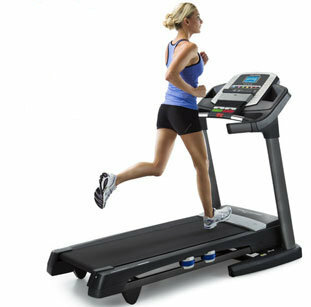 Running Area: 20" x 55"
User Feedback: Widescreen blue back-lit LCD window and two small blue back-lit LCD windows. User Programs: 14 program options with on-the-fly changes with 3 targets (Time, Distance, Calories) and 4 workouts (Manual, Intervals, Hills, Weight Loss), 1-31 day goal tracking, and 2 custom programs. Speakers: Yes - Made for iPod� including full console controls and charging with Sonic Surround� speakers. Designed to deliver optimal fitness results. 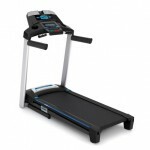 Horizon treadmills offer a unique mix of reliable, long-lasting components and workout-enhancing features to help ensure that you get more enjoyment � and results � from every treadmill workout. In addition to two Sonic Surround� speakers, the console is Made for iPod�, including full console controls and charging; also includes a headphone output for privacy. ComfortSELECT� adjustable cushioning lets you select the support that's right for you. Durable, 2-ply belt, with a longer, 20" x 55" workout space that is roomy and easy to exit. 2.75 CHP motor is powerful, quiet, and backed by a lifetime warranty. 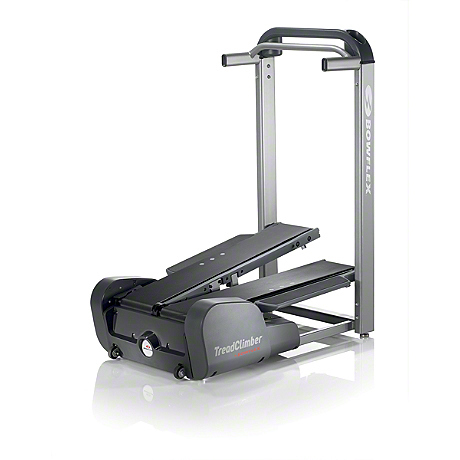 0.5 to 12 mph and 0-12% incline ranges let you take your workout to a more challenging level. A widescreen blue back-lit LCD window and two small blue back-lit LCD windows let you see more key feedback at once. 14 program options with on-the-fly changes plus Advanced Goal Center� help add variety to your routine. Made for iPod� including full console controls and charging with Sonic Surround� speakers makes it easy to exercise to your favorite workout playlist; also includes a headphone output for privacy. COOLfit� fitness fan keeps you cool as you walk, jog or run.